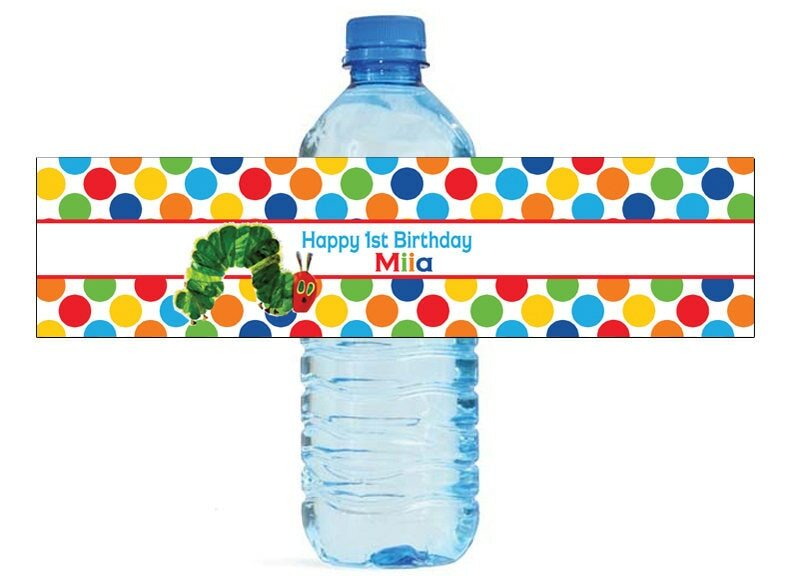 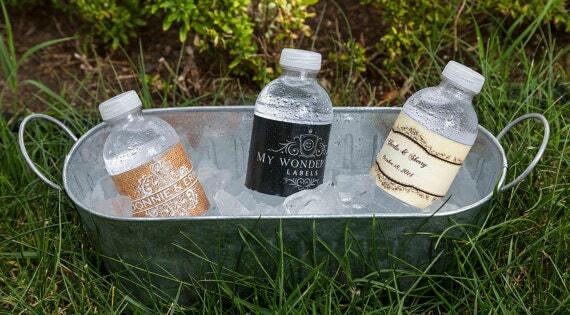 Caterpillar themed Water Bottle Labels. 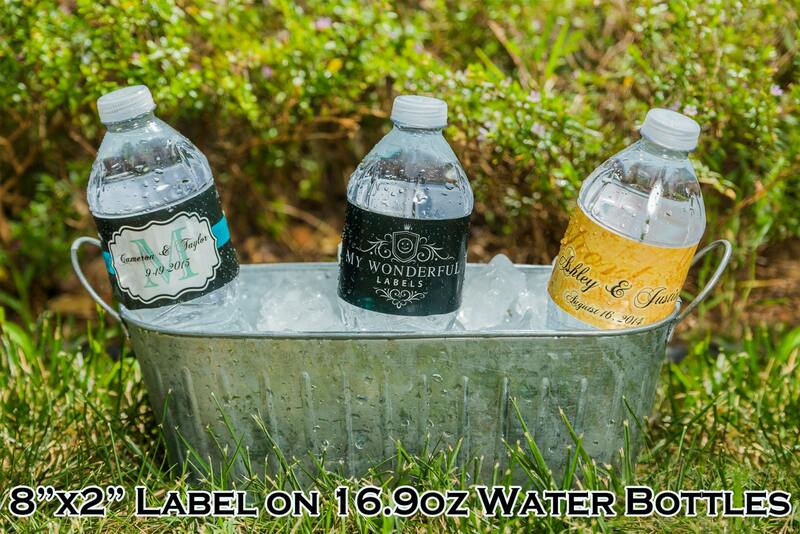 These labels are self stick, and easily stick to your water bottles. 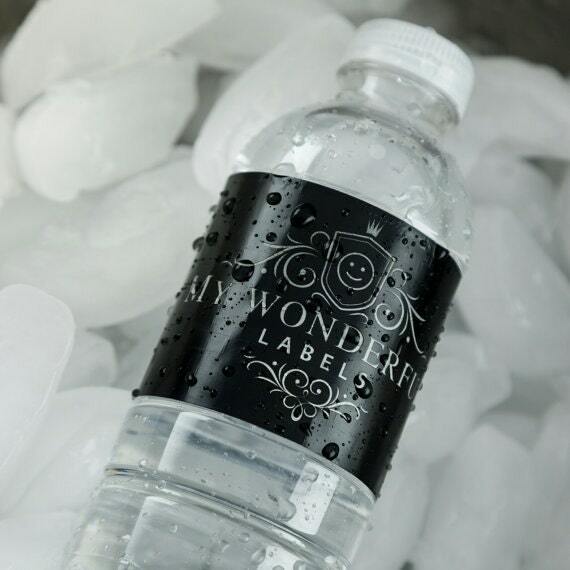 Our labels are laser printed and will not run or smear.